Hinge. When new people are available to 'discover' (mostly shown at the very beginning). 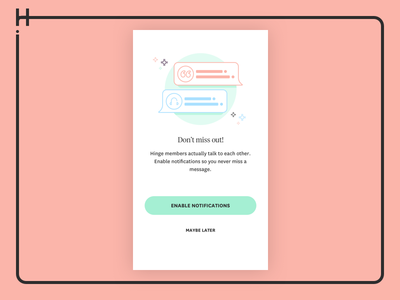 Pre-prompt notification permission screen for Hinge. New Icon set for the dating app, Hinge. Contextual profile editing. Here is editing one of your prompt questions.